May | 2015 | And I am an afrotasticlady! Pops: “You do. When are going to wear your hair like this?” (pushing his hands downwards). And then the alarms went off in my head. He said the word “nappy.” I am not a fan of the word word “nappy.” My hair is afrotastic, which means it is beautifully natural. Nappy has a sad, ugly connotation to me. It is a word that many black folks have been socialized to use to describe our tight curls. Anytime, I hear someone say “nappy,” I wince. Back in the day, I use to say the word until I realized the social meaning behind it. I know that my pops is old-school, and that is one of the reasons why he used the word. He prefers straight hair to natural hair. I don’t expect everyone to be a fan of natural hair. And yes, I could straighten my hair without the chemicals. I could sit down and straighten it with a flat iron/blow dryer. But I don’t want to, and I would be doing so to please others. I love seeing my cute little tight curls when they are in a puff. 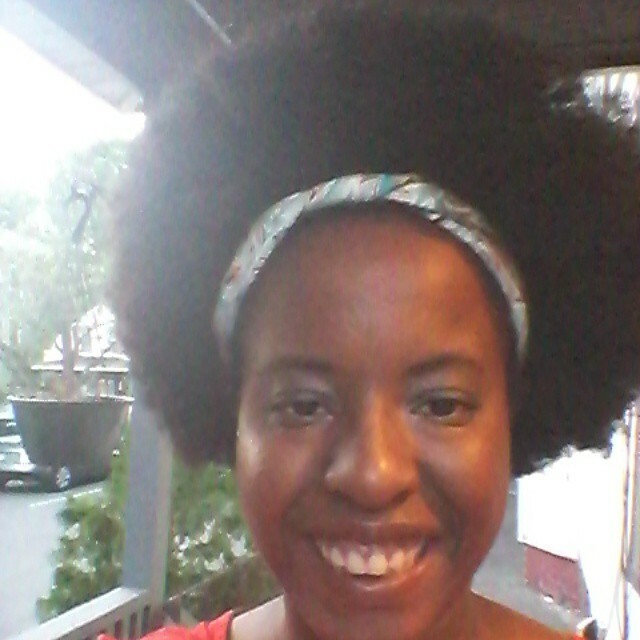 I love putting a boho headband on my ‘fro. I like that feeling of being free and comfortable in my afrostasticness. Yes, I am making up words, y’all. I think the natural hair movement has come a long way. When I first became natural, there weren’t a lot of natural folks out there. I was in my awkward TWA stage, where my ‘fro was very small and short. My family had to adjust to seeing my hair like that, and I had to adjust too. Folks were always asking me when was I going to go back to relaxers, as though I was in a phase. Being natural became a lifestyle. Sometimes, a natural haired friend and I joke that being natural is a struggle. We say that it is a struggle, because it can be daunting and tiresome to figure out what to do with our natural hair. There are those days where you spend hours and hours trying to replicate a style you saw on a magazine or on YouTube. Your hair doesn’t come out like the picture. On the other hand, it can be so freeing and wonderful to play with our hair. To see how our hair can be manipulated. Then, having natural hair is more like a journey than a struggle. I’d rather enjoy the journey.